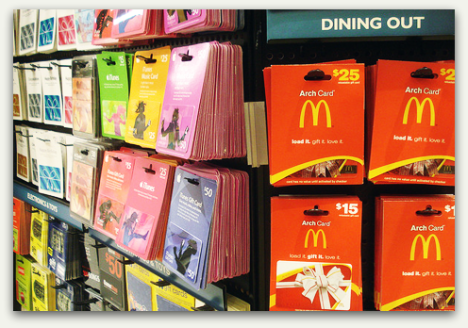 As always, Stacey Bradford says she is planning to buy a handful of gift cards over the holidays: “They’re the perfect present for everyone from my kids’ day care teachers and babysitters to my 14-year-old nephew who can’t stand my taste. But I’ll probably change my strategy this year and go with specific retailer cards. According to Bankrate.com, most retailer cards have few fees, or none at all, and none of them expire. Network-branded cards, on the other hand, tend to come with multiple fees.